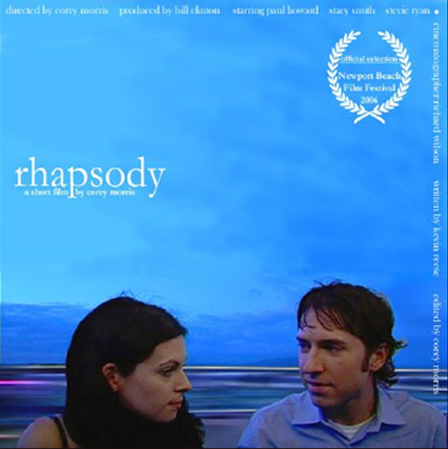 Rhapsody is a short directed by Corey Morris. It tells the story of Dan, a lovable loser with a failing love life. Just as Dan loses hope a serious of strange events conspire to change his life. This unique and sweet film has no dialogue but instead uses other creative techniques to tell its story. The film was accepted into the 2006 Newport Beach International Film Festival where it had it's world premiere!